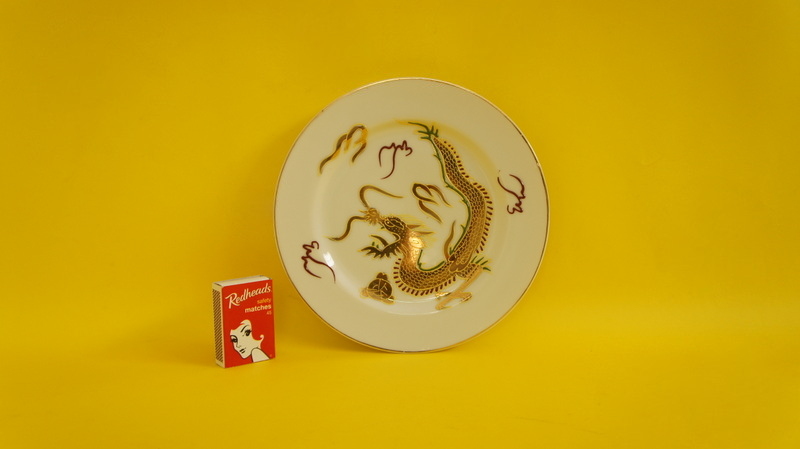 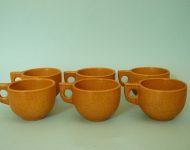 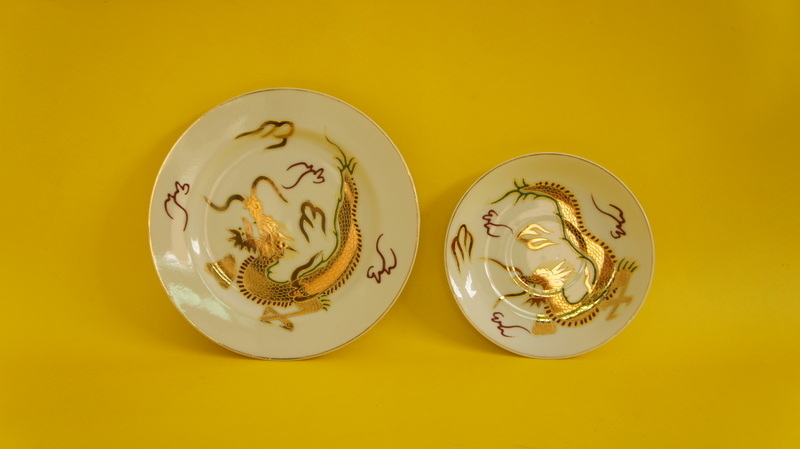 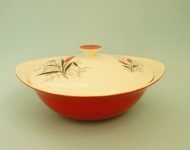 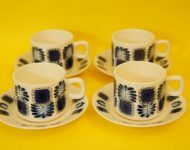 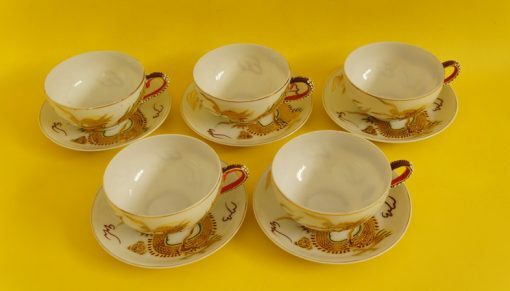 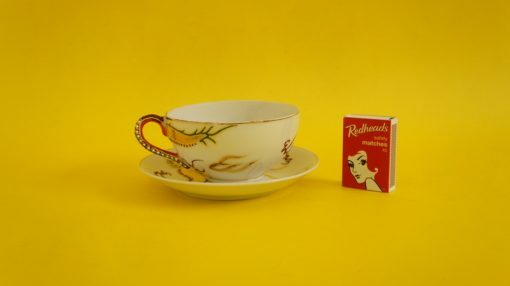 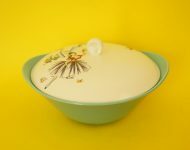 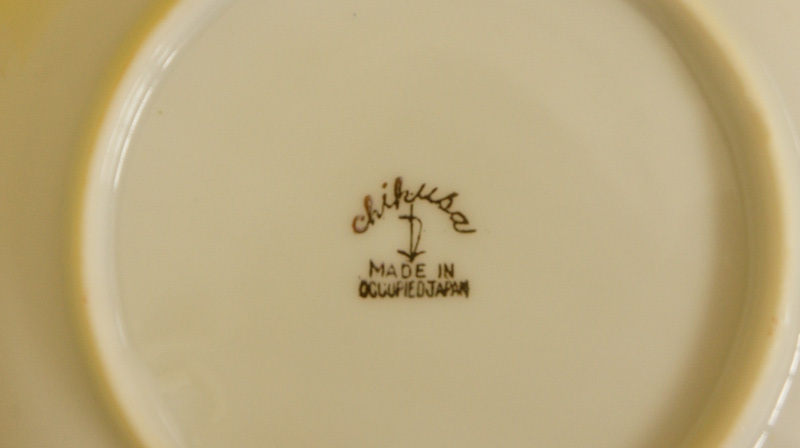 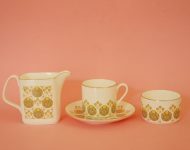 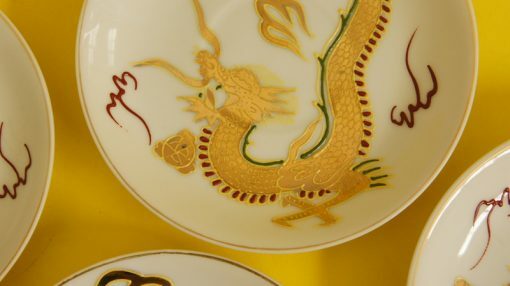 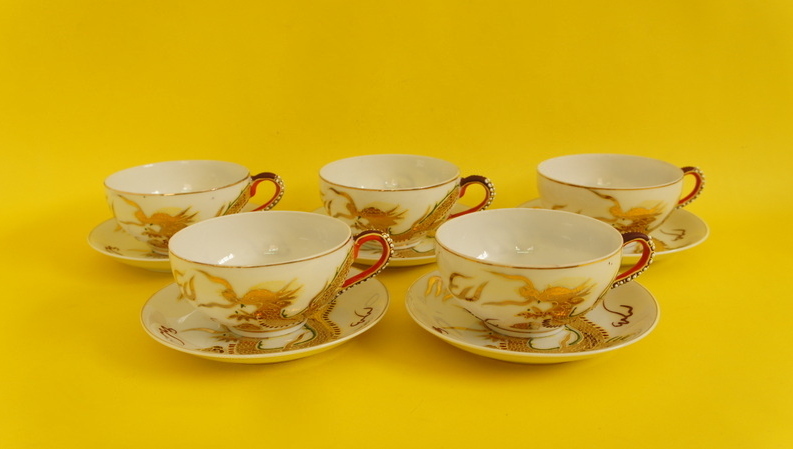 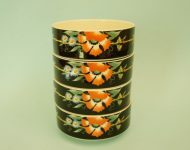 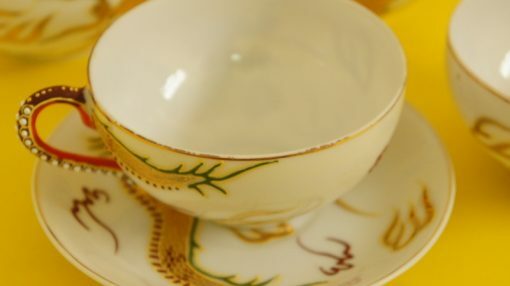 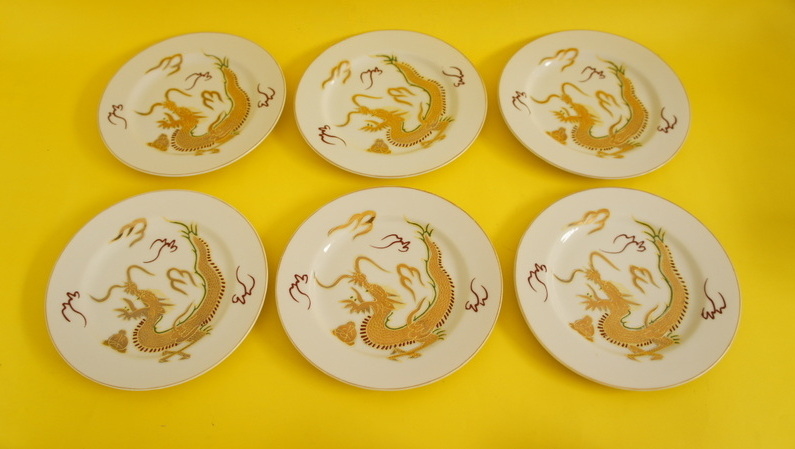 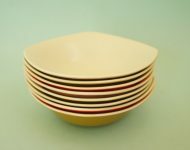 These teacups belong to the 1940s Dragonware tea set that we sold last week. 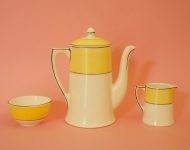 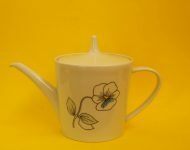 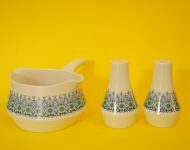 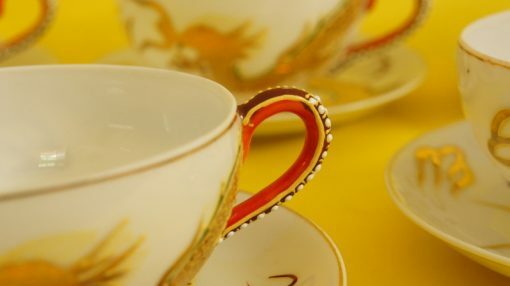 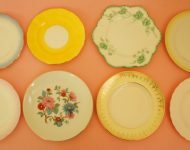 They’re not quite as immaculate, with some wear to the gold trim and a missing teacup and saucer, but they’re still in excellent condition if you consider the fact that they’re 70 years old! 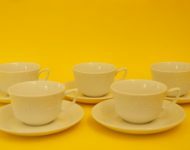 They’re also ridiculously fine, which is another reason it’s impressive the they’ve survived for this many years – when you hold the cups up you can see the light shining right through them!